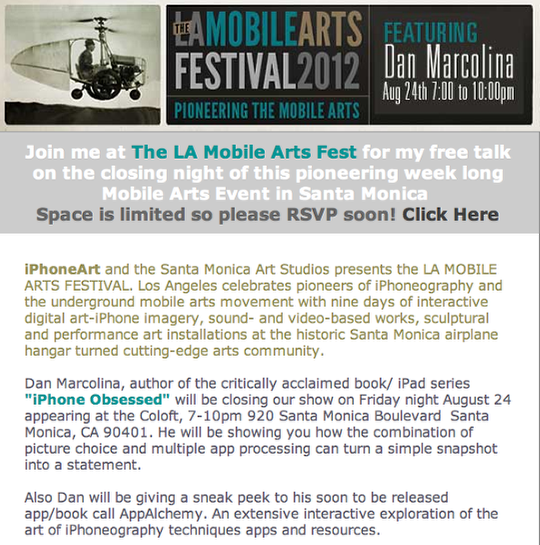 Join Dan Marcolina at The LA Mobile Arts Fest for his free talk on the closing night of this pioneering week long Mobile Arts Event in Santa Monica. Roger Guetta And Maxime Rioux Introduce Their Work At The LAMAF – Exclusive! I have Dan’s book, I love his work & approach to image manipulation. I SO wish I could be there!